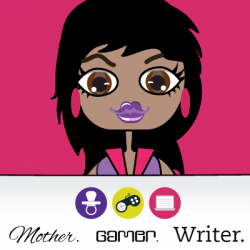 Originally Reviewed At: Mother/Gamer/WriterRating: 4.5 out of 5 ControllersReview Source: PublisherReviewer: MeShadow on the Crown is an electrifying and adventurous breath of fresh air. It’s a medieval and semi-historical tale, which read with the appreciated ease of a swashbuckling fantasy. I couldn’t put it down, I did NOT want to put it down. The novel transported me to places, ignited my imagination, and delighted every book loving bone in my body. Based off the events recorded in the Anglo-Saxon Chronicle, Shadow on the Crown follows the life of Emma of Normandy and her extraordinary transformation from playful, rambunctious child to Queen of England. At only sixteen, young Emma is forced to marry King Athelred, a ruthless leader who is terrorized by images of his long dead brother and a looming Viking invasion. In her quest to win over her husband, bear his child, and be treated as a proper queen should, Emma finds herself falling in love with the King’s eldest son, Athelstan. Over the course of the novel, we watch our heroine battle everything thrust in her way, from attempts on her life from a rival who’d do anything to be queen, to being kidnapped and losing her first child. And yet she holds true to herself, poise, cunning, and a quick thinker. Emma is a marvelous woman to read about, and often times I forgot that she was actually only sixteen. But there were a few instances (and by that I mean some terrible, terrible things that happened to her) which reminded me she was still just a child and was not entirely ready for all that was bestowed upon her. 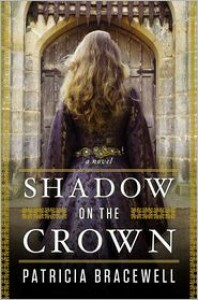 Overall, I highly recommend Shadow on the Crown to those of you who love a great fantasy with a dash of history thrown into the mix. Bracewell created a charming, exhilarating, epic adventure that will drive you to tears and the threshold of madness, but will ultimately have you smiling in the end.